A mixing stand with a large bowl that relies on electric power to mix one’s ingredients. Great any avid cooker or anyone that has difficulty mixing by hand. 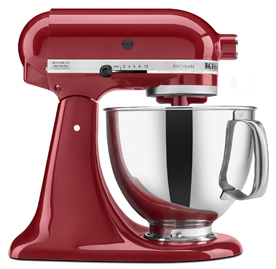 The mixer tilts away for easy access to the bowl and can be cleaned easily.